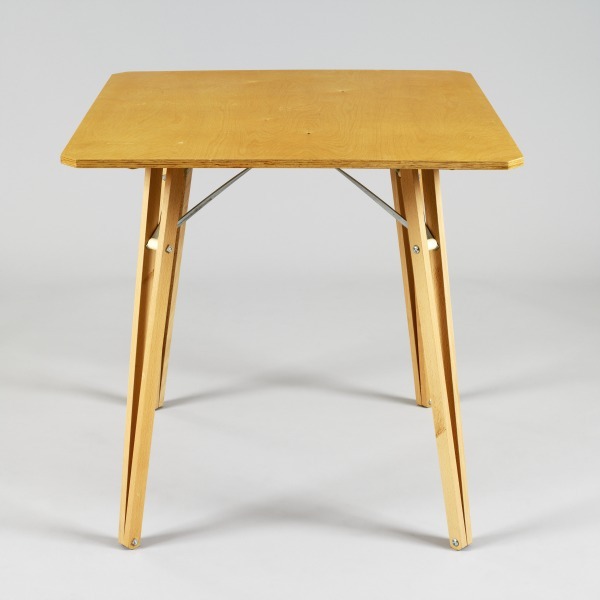 Table with a square plywood top with four beech and maple legs, and bright zinc-plated struts. Birch plywood top, beech legs, bright zinc plated struts, nylon 66 spacers. 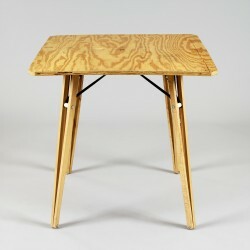 Square Table, Michael Marriott, 1994, Crafts Council Collection: W107. Photo: Todd-White Art Photography. 1996: This table was designed to go with the XL1 Chair. It uses the same materials but works using a different construction principle.